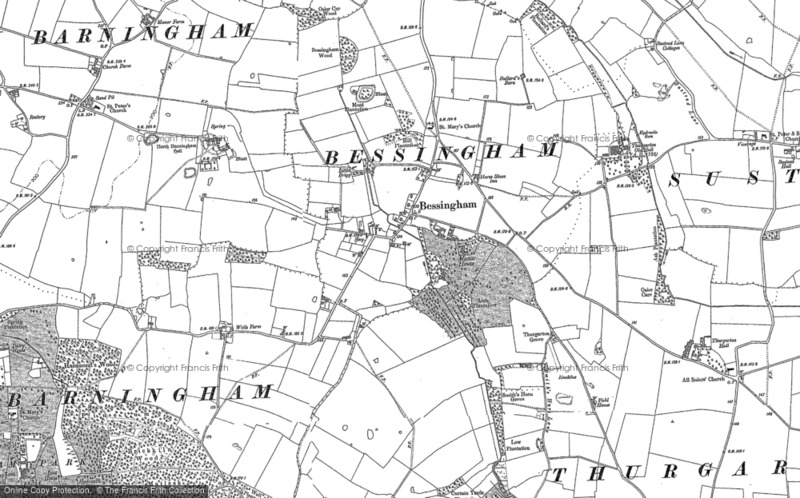 The small village of Bessingham consists of 40 homes and a church. 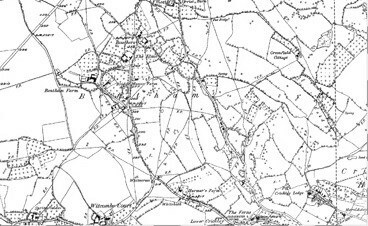 It lies 8 miles north-north-west of Aylsham and 5 miles south-south-west of Cromer and forms part of the civil parish of Sustead. 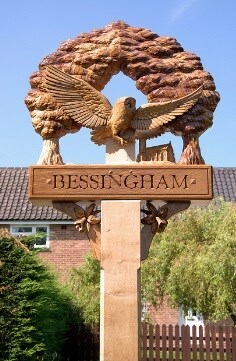 The Village sign was unveiled in 2012 after four years of fundraising by the Bessingham Society. The sign, depicts St Mary’s Church, a barn owl and two oak trees. The new sign provides a focal point for the pretty, rural village which doesn’t have a village hall or a WI hall. The other large building is Bessingham Manor House. It was built in 1870 for the lord of the manor, Daniel Spurrell. It stood empty and derelict for many years and was eventually scheduled for demolition. Water ingress lead to rot and decay of the internal structure and the subsequent collapse of the floors and some collapse of large parts of the roofs but it has recently been restored by the new owners. You can park near the sign which is next to the village’s bus stop. The Cache only contains a log sheet so please bring your own pen. Please note, You don’t need to climb on the sign to retrieve the cache.